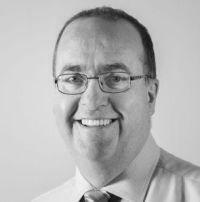 Jim Bauld has specialised in Scottish tenancy law since 1994. He has over 30 years litigation experience in Sheriff Court work throughout Scotland. Jim uses his experience to give clients practical advice on complex issues such as: debt recovery, tenant eviction, succession to tenancies, repairs, leases, accessing properties, right to buy and antisocial behaviour. Highlighted in the Chambers Legal Guide as a notable practitioner, clients appreciate that he “has extensive experience of Scottish housing law and offers a pragmatic response to issues”. He is a prolific contributor to events across Scotland, covering the whole range of housing law issues with the Chartered Institute of Housing (CIH), Scottish Federation of Housing Associations , Landlord Accreditation Scotland, Legal Services Agency and local authorities, displaying a robust understanding of current issues. Jim is also co-author of the CIH publication on “Suspending Housing Applicants – a Practical Guide”. His expertise has been externally acknowledged by his appointment as a legal member of the First Tier Tribunal for Scotland (Housing and Property Chamber). Jim has also been involved in Scottish government working groups which have dealt with a variety of proposals which have resulted in significant changes to housing law and practice. We find you and your colleagues to be very approachable and appreciate the quick response to matters we may have of a legal nature.